So I am back from my West Coast Adventures. Thanks again to my awesome friends Sean and Sarah for their ridiculous hospitality. I love the West Coast and LA & San Fran did not disappoint. I went to a Dodger game with my friend Pat Barker and his lovely wife Tiffany (ah, young love), got new pictures done (see them here), had a great set at Rafa’s in Echo Park (thanks Scott Luhrs! ), went to Disneyland for my birthday and then had giant beers with my friend Chuck at Phantom Ales in Anaheim, flew up to San Fran, did the cruise around the Bay, had a ridiculous set at the amazingly fun Cynic Cave show (thanks George Chen!! ), got drunk at the 21st Amendment Brewery, had another ridiculous set at The Punchline, flew back to LA, went to a Conan taping with the fun and fancy free Kevin Ott, had Mexican food and then a great set at Danno Carter‘s Pancho’s Comedy Show. 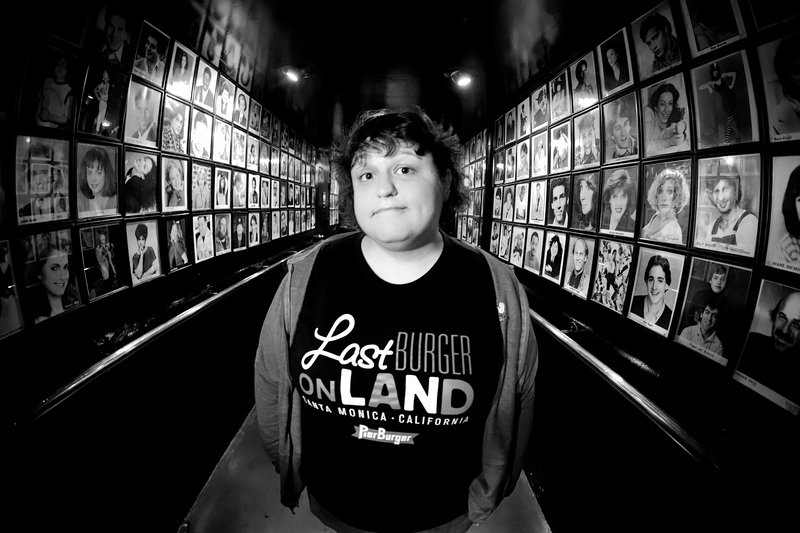 Tuesday night was the highlight of my trip, when I went to the Comedy Store to see the Roast Battle (which you need to see if you are anywhere in that area) and I got a hallway pic done by the excellent Troy Conrad. I normally hate pictures of myself but this one is the best. Wednesday I got to have lunch with ex-Philly comic and fun gal Nikki Black and then back to Disneyland for the Mickey’s Halloween Party. Thursday was flyyyyyying. I did, however, sit next to a really nice lady from Denver to Philly. It’s nice to know there are people out there who are not psychos and can actually have incredibly interesting conversations. I hope she had a great time at her brother’s birthday party. So now I am back and it’s getting chilly and I am dreaming of the West Coast. Soon again, my friends, maybe permanently. Anyone got any jobs I for me?